The Europacup has come to an end and everyone’s focus has shifted to the first World Cup Downhill training, which will take place tomorrow. 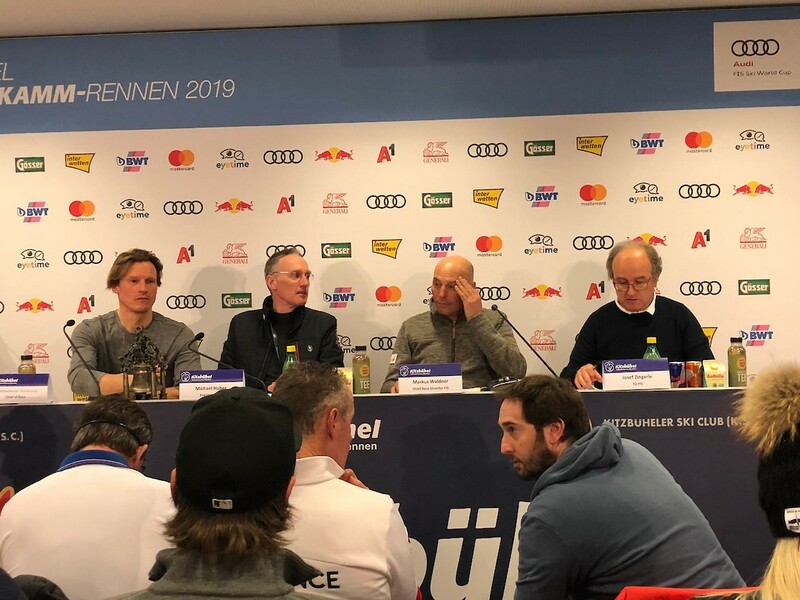 Chief of Race, Mario Mittermayer-Weinhandl, welcomed all participating nations to Kitzbühel at today’s Team Captains Meeting. OC Chief, Michael Huber, also extended a warm welcome to everybody attending this year’s skiing festival in Kitzbühel. He announced: “The weather is perfect for tomorrow’s training!“ He also wished all currently injured athletes a speedy recovery. FIS Race Director, Markus Waldner, highlighted the Organizational Committee’s fantastic work and thanked them for making this Race Week possible. The first training on the Streif will start tomorrow at 11:30 hrs.